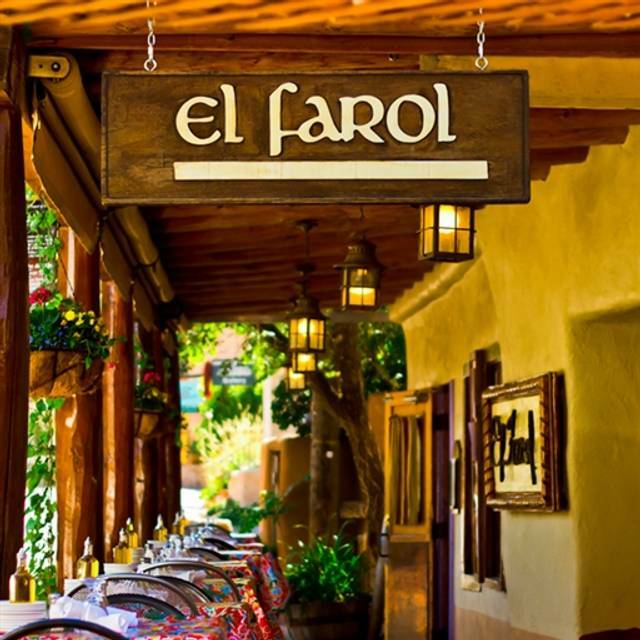 Hailed as Santa Fe's most historic and iconic restaurant and bar, El Farol has provided locals and visitors over a century of memorable experiences. The El Farol experience combines classic tastes of Spain with a unique blend of art, dance, flavor and aroma. You will be able to choose some of the finest wines and authentic Spanish food that are big on flavors, such as traditional Spanish tapas as well as paella! Take in the rustic 1835 adobe walls that tell stories of artists, poets, lovers, local history and beauty. Patrons enjoy our dinner shows featuring the musicians and dancers of the renowned National Institute of Flamenco. Meanwhile, our bar serves up classic margaritas, sangria, signature cocktails, and live music. Private Room and Outdoor Patio available. 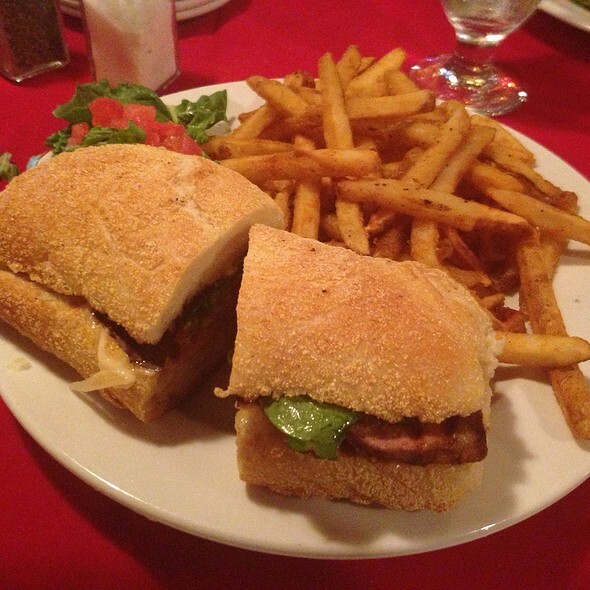 El Farol will bring great food and excitement to your office or home; menus can be customized for the event. The 24-Hour City Parking Pay Lot is located directly across the street from El Farol. Public transit is available on Canyon Road. Call or visit Santa Fe Trails for current schedules. Known as, "One of the best bars on earth!" 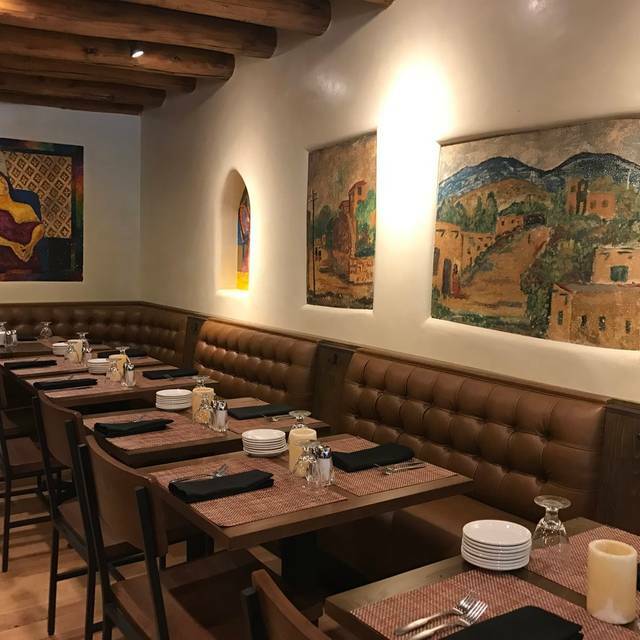 by The New York Times, "This is the place to head for local ambiance and flavors of Spain, Santa Fe and Mexico." El Farol is proud to present entertainment seven night a week. Whether it's the Canyon Road Blues Jam featuring the best local and national touring musicians, one of our hot Latin dance nights, R&B/Soul/Funk or, our intimate Sunday evenings of Spanish guitar, you can dance the night away on the dance floor after enjoying the award winning food in the restaurant and cantina. Saturday Night Flamenco Dinner seating begins at 6:30pm with $25 cover per person exclusive of food and drinks. A wonderful way to enjoy live music while conversing with friends and enjoying the wonderful foods and wines of El Farol. 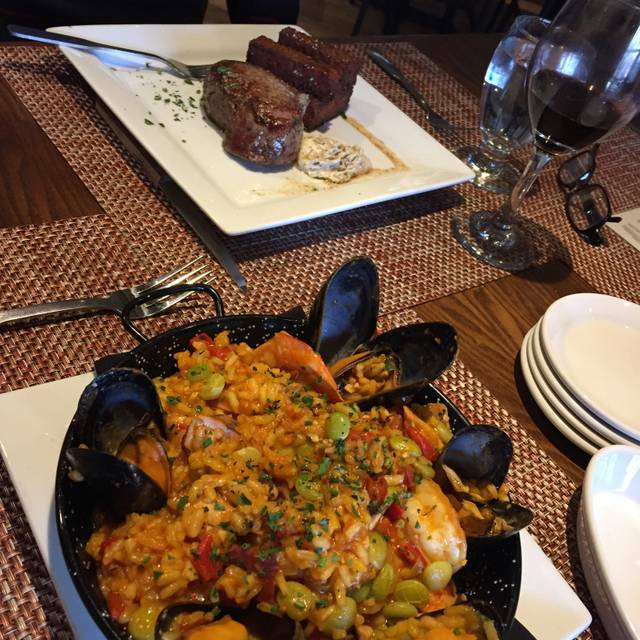 Outstanding Spanish cuisine in a quiet, but culturally and decoratively vocal atmosphere. Service is impeccable as is the Iberian cuisine, served up in the appropriate sized portions. Will definitely return soon. Greta food, and incredible dancers that rival professional flamenco dancers in Spain. Beautiful valentines dinner appetizers were delicious! And they don’t skimp on the portions! Plenty of food.. Outstanding service, incredible food preparation and great cultural atmosphere. Enjoyed Lisa Keating Love Songs and the service and food was great. The noise level was upsetting. We were at the table by the open doorway. I was sitting next to the open doorway. I could here all of the talking in the room next door in my left ear and barely hear the performance with my right ear. It was very difficult to hear the performance. Should not seat a table where we sat. Live entertainment by Cords and Strings in the back room was outstanding. House margaritas were delicious. I had an Ensalada El Farol, which was refreshing and had a lot of satisfying flavor. I also had an order of the Patatas Bravas, which had two sauces that I enjoyed enough to alternate them. It felt almost too decadent, but I felt fine afterward. For appetizers and drinks it was wonderful. A little pricey for the quality of the food. We were there when Chords and Strings played which made it a lovely Valentine's Day experience . My experience at El Farol has to be one of the best restaurant experiences I’ve ever had. The staff is very attentive to each customer, and they genuinely love their jobs. My girlfriend has celiacs and they brought her gluten free bread, and the menu has many gluten free options. The chicarrones (pork belly) was the best I’ve had, and their paella was so good, we ate there again a day later. My only gripe if it even is one, was that some patrons were overly loud at the bar and it kind of ruined the ambiance. Make reservations, this place is great. It had been about 8 years since I have eaten here and it was not nearly as good as before! Although the service was excellent and we had a nice table near the window it was not an outstanding meal! Being a Monday night it was quite empty and quiet so that was nice! Not really a tapas bar, more a regular restaurant with floor entertainment (free jazz on Sunday night, flamenco on Wednesdays for an extra $25pp). The tapas side of the menu looks more like starters and then a regular full entree menu on the opposite side. We liked the flash fried avocado and the beef skewers. Everything we ordered was superb. Especially the sea bass!! Totally enjoyed the flamenco dinner performance! The dancing was intense and energetic. Our food was delicious. 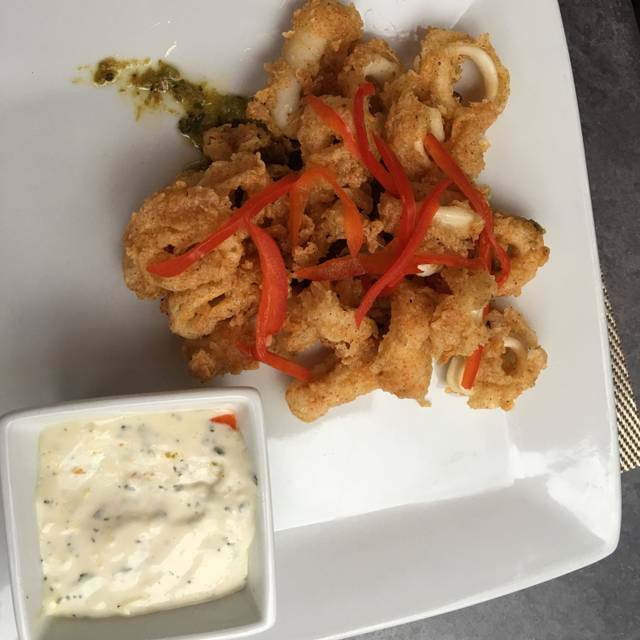 Recommend the artisanal cheese plate, calamari appetizer and paella. Service was attentive. Ordering and dinner service was arranged so service did not interrupt the show. Tables were arranged so everyone could see the stage and performance. A classy evening! Ordered a variety of tapas and beer - tapas all delicious and local beer just fine. 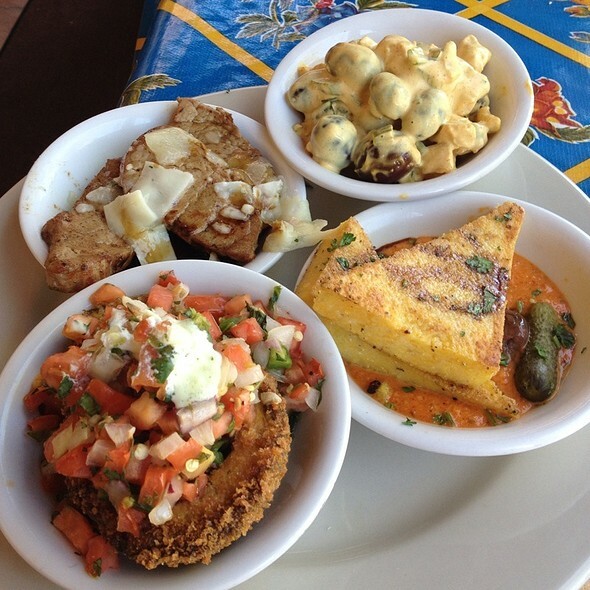 El Farol is a great spot for a date. The old, remodeled adobe building and art has great ambience and charm. The live music (JJ & The Hooligans were playing fun, roots R&R) was fun. The service was good (attentive but never suffocating). The food was good but the tapas menu is a bit limited for a place that markets itself as a tapas restaurant. (I still fondly remember El Farol's more complete tapas menu back when David Salazar owned it). It's a good enough selection for two diners (figuring on 6 tapas), but if you brought 4+ people the 16+/- choices would be limited. The chicharrones tapas (pork belly) was crispy and generously portioned - more than enough for two people. The paella, served in a flat-bottomed steel pan, was tasty although it could have used more saffron and the rice was slightly overdone. The zarzuella de pescado (seafood stew with fish, mussels, squid, and shrimp) was flavorful. Overall, the food was good but not 5 star great. Still, El Farol is still one of the best places in Santa Fe for live music, dinner, and after dinner entertainment. Very nice Tapas. Food quality was excellent. Preparation was expertly done without fanfare. Flaminco show was outstanding. Worth the extra $25pp cover charge. My favorite restaurant in Santa Fe, have been eating there every time we go to Santa Fe and always have a great meal and service! We Love the food, LOVE the live bands-eep Tues Blues Jam, however we were extremely disappointed/bothered in how we were treated. We would and are there on every Tues evening and other nights to enjoy the atmosphere, excellent food, service and MUSIC. However, this last Tues, as soon as the band stopped-we were very rudely told to leave, hurry and pushed out the door? We were already getting our coats on and etc-but this was extremely poor customer friendly actions. I understand the owner is not interested in the music/bands, however it def is a main attraction to his restaurant. With the cover charge, dinner and drinks, they should not need to hustle/herd cust out at 11:00 rudely. As much as I LOVE the food, MUSIC and atmosphere-it will be awhile before I go back there. Very disappointed! I would be very interested with talking with the owner regarding this. Decided to go for Flamenco Dinner on a Saturday evening. Very nice setting, decent food, excellent service, and superior performance by Flamenco group - 3 dancers, 1 vocalist, and 1 guitar player. Better than average value for a Saturday eve date night with spouse! It was so neat to eat at such an old establishment in Santa Fe! The food and setting were both amazing. We loved the live music! I only wish they had a better "by-the-glass" wine selection - but other than that we had a great time and would definitely recommend to anyone looking for a unique dining experience! The show is a conflict especially when just dining. Paiella was just a lot of starchy rice , two at table purchased. Steak and sea bass good. We thoroughly enjoyed both the amazing food and the amazing flamenco dancers. Do not miss it! Have been there several times and like that the menu changes frequently. Our evening meal was delicious and then the entertainment began. What a great intimate flamenco dance experience! World class and we could interact with the performers. Can’t wait to do this again! There was a lot to like about this restaurant, ambience, great people but the food stole the show, best paella, extraordinary mussels, even the chili cheese rolls served with butter, sofrito sauce and roasted garlic cloves was way better than usual. Great food and service. The flamenco show was thrilling. Great meal and flamenco show. Food was only adequate not up to the standards we were expecting for something on Canyon Rd. Service was fine, but we witnessed a table being reset with existing tableware and napkins after the people sitting at that table left. The family of 4 left because their young daughter was coughing so badly. Her coughing included into her napkin and around the table, but the servers simply refolded the napkins and reset the dinnerware after they left. It was pretty gross especially considering whomever was going to sit their next was likely going to catch something from what the little girl left behind. Not a place I will ever go back to, so many other great choices in town. 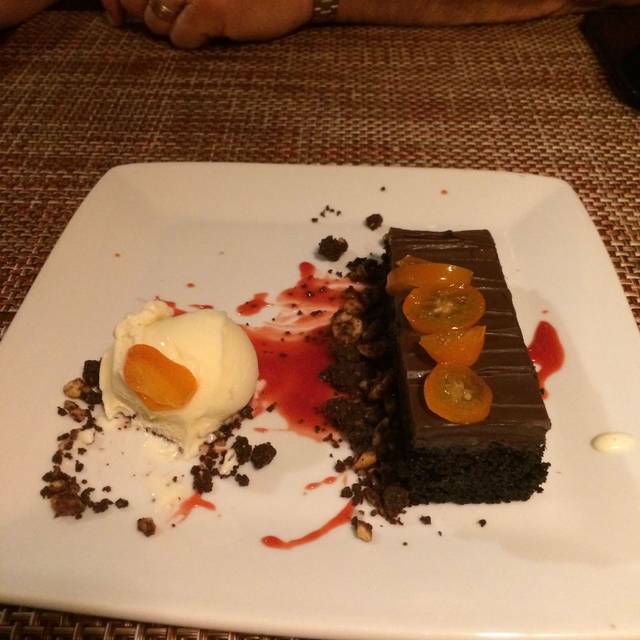 Food and overall experience was was so good we dined there two nights in a row! There turned out to be a FLAMENCO performance the night we dined here -- and it was FABULOUS! Totally enjoyable! We went home smiling, even thrilled by what a wonderful night out it was. Really yummy food, lovely staff, and a cheerful, totally engrossing, appealing performance, a true pleasure! The Flemenco show is spectacular! 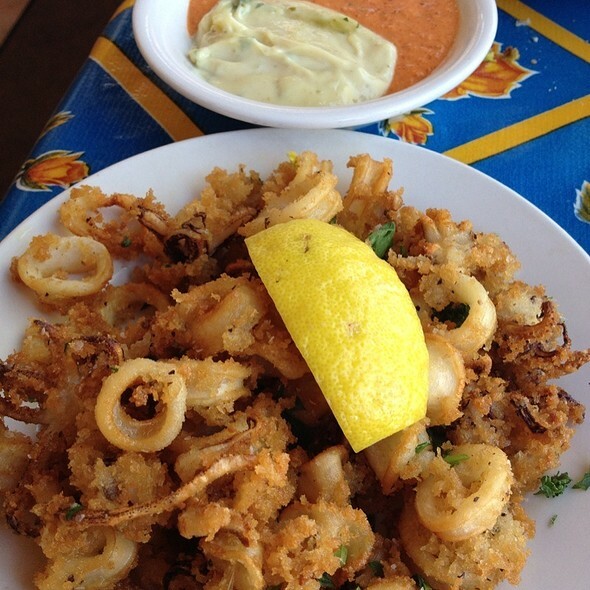 If you've never experienced one, or you saw a bad one, you must attend the show at El Farol. Even my skeptical husband was impressed. The performers, guitarist and singer where phenomenal. All attending were riveted during the performance (picture from finale) Bravo! We were in town for Christmas and saw the show the Saturday before - food and service was excellent and we returned for dinner on Christmas Eve. Although we didn't linger in the bar area, it was lively and the atmosphere/ambiance there and in dining areas is very comfortable. El Farol will take care of you - book a reservation now! Oh, and if you are considering visiting during the holidays this year, reserve your Christmas Eve dinner here then just step outside afterwards to take part in the Farolito Walk. So beautiful and an experience to remember. We were pleasantly surprised with the Christmas Eve dinner. We were immediately seated at our allotted time. The pre fixe menu was reasonably priced and offered a range of selections that appealed to our family’s most finicky diner. The best part was that the food was really good. The filet was a little more done than medium rare, but on a busy evening like that, we were alright with it. The chicken was excellent. The dessert was perfect. The service was spot on. Great job on menu, cooking and service. Thank you. A bit irritated when we got there and learned it was a fixed price night - Christmas Eve. But we decided to stay and so glad we did. Food was super. Waiter was great. New owners and we will definitely go back. Super disappointing... we have come here many times over the years and told others to come here. I booked a reservation months in advance for Christmas Eve ,4pm, and was NEVER a old it was a fixed menu. It was not we were planning at 4pm. The hostess was not overly helpful or nice and a bit rude and unwelcoming. For the first time I felt looked down on for not agreeing to the fixed menu. No other options were offer and the bar seating was empty. Very disappointing and we had not eat options since everything was booked. Would not be anywhere else on a Tuesday night in Santa Fe! The Gambas Al Aljio were the best I've had ever, anywhere. I also enjoyed the pear salad. The grilled artichokes were pretty bad -- tasted like mayonnaise and gave me a stomach ache. The room was freezing. The door was cracked to the outside when I arrived. It took the waiter a long time to wait on me. I was never able to get warm and ate and watched the performance with my coat on, and I wasn't the only one. I felt that both the Flamenco show and the food were way too pricey. The website could use some work by a professional as well. In the body of the website, all text that is bold and mentions Open Table should be linked to the Open Table booking page. Also, the actual time of the performance should be posted. I waited 1.5 hours for the performance to begin (while freezing) because the website stated that one had to book at 6:30 PM for the performance. I've been to lots of small clubs in New York -- Flamenco and Jazz -- and the performance begins 30 min. after the booking time. They manage to pull it off while still serving food. You should be able to continue to serve during the performance , and not make people wait 1.5 hours. Old established Santa Fe place worth a visit especially at lunch.